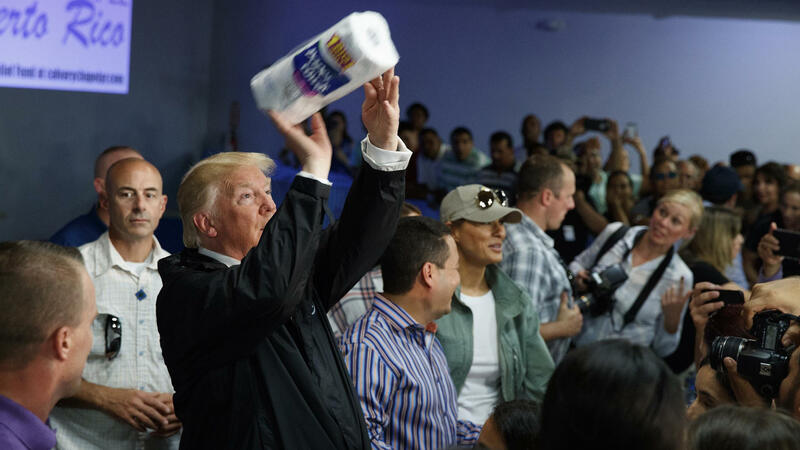 President Trump tosses paper towels into a crowd in Puerto Rico after Hurricane Maria hit the island in 2017. As NPR's Adrian Florido reported last month, the death toll for Hurricane Maria was just revised from 64 to 2,975. "Puerto Rico's governor updated the island's official death toll for victims of Hurricane Maria on Tuesday, hours after independent researchers from George Washington University released a study estimating the hurricane caused 2,975 deaths in the six months following the storm. "The researchers' findings had been long-awaited. Puerto Rico Gov. Ricardo Rosselló commissioned the independent study in February, after months of public pressure over his administration's failure to adequately count the number of hurricane dead. At the time he commissioned the study, the governor said the research team would have the Puerto Rican government's full cooperation, including access to all mortality data. "As a result of Maria, researchers estimate 22 percent more people died during the six months after the storm than would have had the hurricane not struck. They also said those most likely to have died were poor people and the elderly." San Juan Mayor Carmen Yulin Cruz (whom Trump has feuded with ever since Maria struck and Cruz went on cable news to beg for more federal help) pointed to the new numbers in her response to Trump's comments. "Success?" she wrote on Twitter. "If he thinks the death of 3,000 people os a success God help us all." In a statement tweeted out by CBS's Mark Knoller, Gov. Rosselló referenced Trump's use of the term "successful," saying, "no relationship between a colony and the federal government can ever be called 'successful.' "
Rosselló went on to ask President Trump to extend federal assistance and said now is not a time to pass judgement but "to channel every effort to improve the lives of over 3 million Americans in Puerto Rico." For Trump, celebrating success in Puerto Rico in the face of dire realities on the ground is nothing new. When it comes to disasters, he often takes on the role of cheerleader, boosting first responders, marveling at the incredible size of the storms/fires or touting his own performance rather than the more traditionally presidential somber offers of sympathy or resolve. On a visit to the island last October to survey damage, he bragged about the then-relatively low death rate, even as hospitals struggled to keep the power on and the FEMA response was only just ramping up. "Every death is a horror, but if you look at a real catastrophe like Katrina, and you look at the tremendous, hundreds and hundreds and hundreds of people that died, and you look at what happened here, with really a storm that was just totally overpowering, nobody's ever seen anything like this," Trump said. "What is your death count as of this moment?" he asked local officials. "17? 16 people certified, 16 people versus in the thousands." He then went to a church where supplies were being distributed to those in need and tossed paper towels into the crowd like they were free T-shirts at a sporting event. "There's a lot of love in this room," the president said, "a lot of love." On the matter of the death count, a White House official who declined to speak on the record said state and local officials are responsible for mortality numbers, adding that the study used by Puerto Rico's governor to set the new, higher death count for the hurricane took "more expansive views of mortality both in disaster impact and disaster time than any previous storm." In a statement at the time, press secretary Sarah Huckabee Sanders said, "The President remains proud of all of the work the Federal family undertook to help our fellow citizens in Puerto Rico. 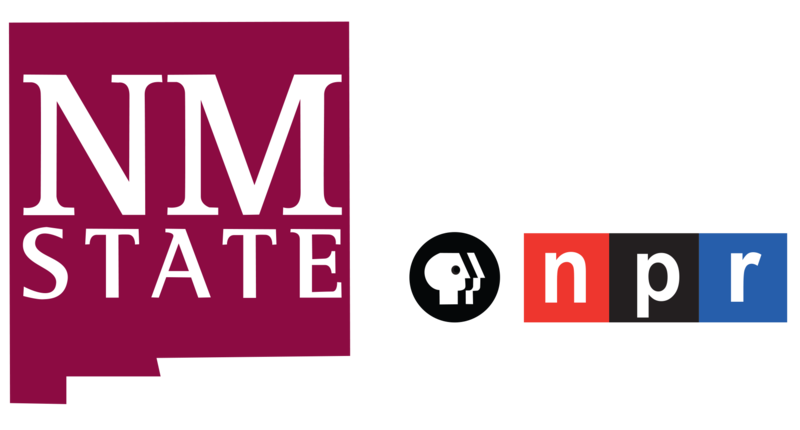 The devastating back-to-back hurricanes were met with the largest domestic disaster response mission in history." "FEMA efforts in Puerto Rico alone were the largest and longest single response in the agency's history. As of April 2018, FEMA had obligated over $12 billion for response and recovery for Hurricane Maria (see figure below) reflecting the scale and complexity of efforts given the widespread damage. FEMA tasked federal agencies with over 1,000 response mission assignments for Hurricanes Maria and Irma in the territories at a cost of over $5 billion, compared to about 400 such assignments for Hurricanes Harvey and Irma and the California wildfires combined. For example, FEMA assigned the U.S. Army Corps of Engineers the mission to install over 1,700 emergency electricity generators in Puerto Rico, compared to the 310 for the response to Hurricane Katrina." But that same report also found deficiencies in the federal response. Hurricane Maria was the third hurricane to hit the United States in short succession last year, leaving FEMA stretched thin and causing logistical challenges in deploying personnel. The report says Puerto Rico and the U.S. Virgin Islands weren't prepared for a category 5 hit and loss of power and communications "led FEMA to assume response functions that territories would usually perform themselves" and the number disasters all in a row meant debris removal contractors weren't available to immediately begin the first steps of recovery. And, remarkably "in October 2017, 54 percent of staff were serving in a capacity in which they did not hold the title of "Qualified"—according to FEMA's qualification system standards." And the challenges continue in Puerto Rico — CBS's David Begnaud just reported a large number of water bottles, possibly millions, intended for Hurricane Maria relief had been left sitting on an airport runway for nearly a year. In its own after action review, FEMA noted a number of challenges and deficiencies and areas of needed improvement. The same unnamed White House official said in a statement: "The President endorses the After Action Review undertaken by FEMA in the wake of the historic 2017 disaster season and the Administration has already implemented many of the recommendations from the review."